A year ago, generous donors helped build a spring protection and sanitation platforms for the community surrounding Wetai Spring in Kenya. Because of these gifts and our monthly donors, partners can visit project sites throughout the year, strengthening relationships with communities and evaluating the actual water project. These consistent visits allow us to learn vital lessons and hear amazing stories – we’re excited to share this one from our partner, Jonathan Mutai, with you. Regular health and hygiene training promotes sustainable practices for long-term health impact. WEWASAFO will continue supporting Wetai to ensure that clean water is not only available, but also that the community has tools to keep the water clean until drinking it. 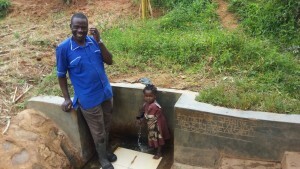 In addition, WEWASAFO trains and challenges the community to build and maintain clean latrines. Josephine Wesa, a four-year-old in the community, expressed gratitude that she can now use a latrine instead of relieving herself in the bushes. The nearby water point and the protected latrine continue to provide girls like Josephine a safer community environment, more time for education, and improved health for years to come. As Wetai Spring continues to provide safe drinking water to the surrounding community, the people are freed to pursue their own vision for a flourishing life. We are excited to stay in touch with this community and report back more positive findings. 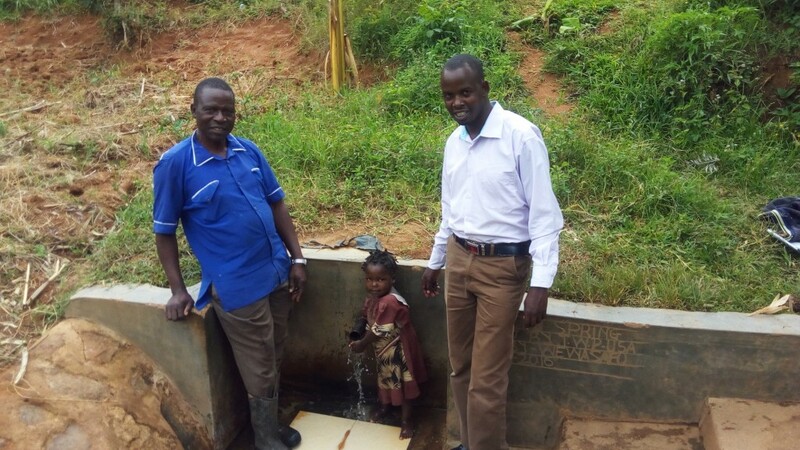 When you invest in The Water Project, you're investing in people like Henry Wesayia. Your gifts help us reach more communities with the gift of clean, safe water. And every drop helps unlock potential.